Blizzard Entertainment announced the Nova Covert Ops mission pack is now available for pre-purchase with a 33% discount offer where you get all 9-mission maps as a bundle. To put that in context, once this limited-time offer is over players will have to buy individual mini-packs for $7.49 each (containing 3-mission maps each). The Nova Covert Ops will be released in increments of 3 maps approximately every 3-4 months. It is important to pre-purchase because of the bonuses such as the Nova skin and Nova portrait which won’t be available in the individual $7.49 mini-packs. Read the Pre-Purchase FAQ below. Pre-order now Legacy of the Void for some sweet extra content. Legacy of the Void is finally available on the Battle.net shop, like when Warlords of Draenor was available there, content for other Blizzard game can be received when pre-ordering the standard or digitale deluxe edition. Mention of a new character for Heroes of the Storm, a Warrior from the Starcraft universe is only available on the Battle.net advertisement. Who could it be? This is a full transcript of the Blizzcon 2014 StarCraft II Legacy of the Void Multiplayer panel with panelists David Kim (senior game designer II), David Sum (game designer) and Aron Kirkpatrick (Technical Designer). Presenter: Welcome to the StarCraft II Legacy of the Void Multiplayer Panel. Browder: BlizzCon, this is one of my favorite panels of the day. 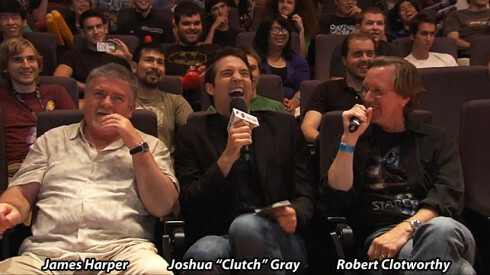 These guys are going to talk about StarCraft II multiplayer. This is your StarCraft II multiplayer design team: we’ve got David Kim, we’ve got David Sum and we’ve got Aron Kirkpatrick. These guys do so much work working on multiplayer for you guys and they are going to try to give you all the information they possibly can about StarCraft II multiplayer and answer as many of your questions as they possibly can. Take it away guys. Blizzard Entertainment unveiled a new cinematic teaser for StarCraft II: Legacy of the Void. The cinematic titled “Oblivion” shows us Artanis, Zeratul, Kerrigan, Jim Raynor, Matt Horner, Valerian Mengsk and other characters. Pretty much showing us a very grim scenario where the fate of creation is on a thin thread; and the Protoss are uniting to face it together. Artanis plans to reclaim Aiur in the process. Kerrigan is going to be an ally to face that universe-threatening enemy. As usual Nick Carpenter and his cinematics team have created a masterpiece, and the level of detail and realism keeps getting better and better as time goes by. Zeratul: I’ve pierced the veil of the future, and beheld oblivion. The zerg swarm came as was foretold, and the protoss rose to fight them. Protoss advisor: The invasion fleet stands ready. We await only your command, Hierarch. Artanis: Today, we will reclaim our homeworld. Zeratul: Now, the Xel’Naga that forged us all are returning. Kerrigan: The galaxy will burn if they are coming. Fate that we shall face oblivion together. Unknown: Amon whispered about this from the stars. He told you of ruin. Extinction. End of all things. Zeratul: The fate of creation hangs in the balance. All things must come to an end in StarCraft II: Legacy of the Void, the final chapter in the epic sci-fi storyline spanning the StarCraft II trilogy. With Kerrigan and the Zerg Swarm missing and Jim Raynor rebuilding the war-torn Terran civilization, the galaxy’s only hope rests with the Protoss and their greatest living heroes: Artanis and Zeratul. Players will guide the powerful Protoss in the epic conclusion to Blizzard’s award-winning RTS series and aim to unite the three races in the ultimate battle for survival against an ancient evil threatening all life in the universe. Featuring new units and the introduction of new cooperative and multiplayer modes, Legacy of the Void is the ultimate strategy experience, and StarCraft at its finest. 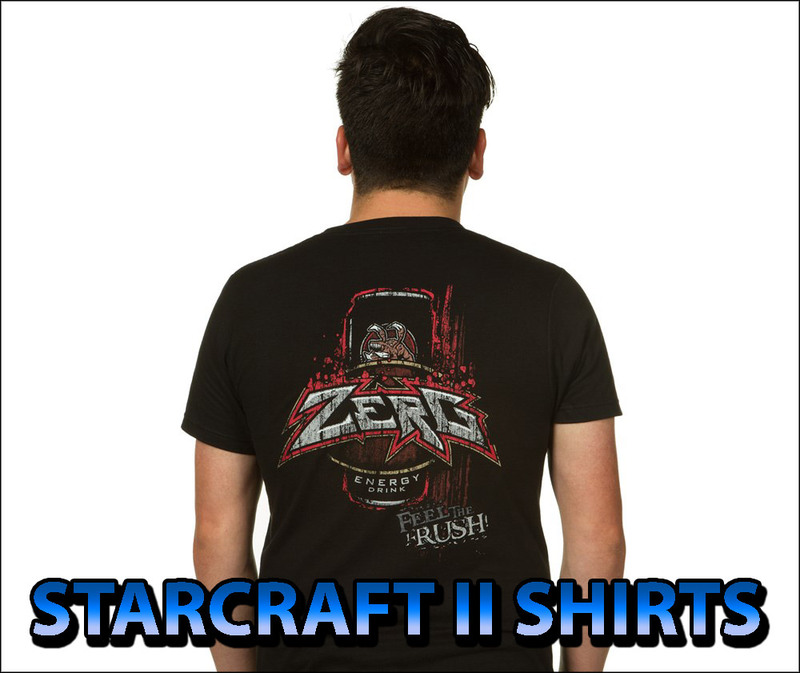 For more details, visit http://www.starcraft2.com. Allied Commanders is another cooperative mode that involves players joining forces and taking on the roles of powerful commanders from the StarCraft saga. Players battle through scenarios together, leveling up their commanders’ capabilities as they progress. Blizzard Entertainment provided a first look at the new characters found throughout the Legacy of the Void single-player. ARTANIS – Hierarch: When the First Contact War ended, Aiur had been conquered by the zerg Swarm. The protoss stood on the brink of oblivion, at risk of seeing their civilization disappear entirely. It was Artanis, a young executor, who prevented a bloody civil war and guided both the Khalai and Nerazim factions through the chaos of the Brood War. Now, with the Golden Armada at his command, he intends to take back Aiur and prepare his people for the final battle against an ancient and indomitable enemy. KERRIGAN – Queen of Blades: She once worked in the shadows. Now the entire Koprulu sector fears her name. The Queen of Blades was the terror of humanity for years, a nightmare that haunted the rich and the poor, the soldier and the civilian, the folks on fringe worlds and the city dwellers on central planets. RAYNOR – Rebel Commander: Jim Raynor has been called many things. Outlaw. Lawman. Soldier. Terrorist. He has endured the cruel tyranny of the Terran Confederacy, opposed the brutal dictatorship of Arcturus Mengsk’s Dominion, escaped the clutches of the zerg Swarm, and even made allies among the mysterious and enlightened protoss. He’s a loyal friend, a frightening enemy, and clever enough to take on the most powerful foes in the galaxy. Not bad for a farm boy from a backwoods planet. KARAX – Phasesmith: The optimization of weapons, armor, and spacefaring ships is a phasesmith’s highest calling, and Karax is one of the most precise engineers in the whole of the Khalai. Through sheer dedication, he will rise above his origins in the protoss’ worker caste to become a crucial asset in Artanis’s war against Amon. ROHANA – Preserver: The role of a preserver is to protect and maintain the memories of the greatest protoss who have ever lived. For millennia, the wisdom of preservers has been held in the highest regard by protoss leaders. Rohana, one of only three grand preservers, holds within her mind almost all of the memories of the ancient protoss civilization of the Firstborn. She has seen every battle, every war, and every loss. Rohana willingly entered stasis aboard the Spear of Adun, saving her knowledge for the time of her race’s greatest need. VORAZUN – Nerazim Matriarch: Tensions remain high among the factions of the protoss. Vorazun, daughter of the legendary Nerazim matriarch Raszagal, frequently disagreed with Artanis during debates in the Twilight Council. More importantly, she is a peerless warrior and utterly dedicated to the survival of the dark templar. She will never back down—neither in debate nor in battle—when it comes to the well-being of her people. ZERATUL – Nerazim Prelate: Zeratul has seen the end, tides of darkness surging across the expanse of the galaxy, erasing all life. In recent years, he has been consumed with the mysteries of ancient prophecies, hoping to discern and disrupt Amon’s plans. Now he is certain that time is running out. With fate hanging in the balance, it falls to Zeratul to warn the protoss of the imminent threat. AMON: An ancient evil returned to remake the universe – to destroy all we cherish. Below you can take a look at the new StarCraft II: Legacy of the Void units, concept art, gameplay videos showing each unit in action, and the box artwork. There are two new Terran Units introduced in Legacy of the Void: The Herc and the Cyclone. In addition, Dropships can now literally grab sieged tanks (no loading inside) and drop them on the ground to continue shooting siege fire. A really new nasty way to micro to harass enemies. The Thor can now self-repair, but requires to change mode sitting idle while it slowly comes back to full health. Banshees can now get a speed upgrade at the Fusion Core. That means the Banshee can now outspeed detection units such as the Overseer to prevent zerg units from attacking cloaked Banshees. Battlecruisers can now teleport anywhere in the map without vision. However, using this teleport eats up a lot of energy. Check out the Terran video to see all these units in action. HERC: HERCs are new terran units coming from the Barracks that can be used to counter the popular zergling and baneling army composition. They’re effective at tanking damage from most protoss ground units while other allied infantry units deal heavy damage. Cyclone: Cyclones debut a new way to open a fight for terran players. They pit the movement skills of both players against each other since Cyclones need to stay within a certain distance to deal damage with their Lock-On ability. The Cyclone is very good against zerg Lurkers from afar, and as fast as protoss Stalkers. The following video shows you the Herc and the Cyclone in action, as well as all the old Terran units' changes. The Zerg gets two units: the Lurker has returned once more to devastate ground units from the depths and the Ravager. However, there are also new changes for old zerg units. The Corruptor will get a new ability named Caustic Spray which deals damage to ground units and structures which ramps up over time. That upgrade makes the corruptor ideal against buildings. The infestor will get a new ability named aggressive mutation which can target friendly units. Zerglings affected by aggressive mutation will be able to take out enemy units that previously it couldn't. The Swarm Host is taking a more aggressive role. The locusts will be stronger, but their spawn frequency will be longer. The Swarm Host can now spawn the locusts while on the move; and in late game the locusts will be able to fly. The Nydus Worm can no longer be damaged while emerging. This is ideal for heavily defended enemy areas with many photon canons, turrets or tight-placed bunkers. Ravager: Ravagers are a new zerg artillery unit that morphs from the Roach, which can break Force Fields using their Corrosive Bile. Since this ability has a small delay before it lands, player skill has a large influence on the outcome of who will emerge victorious when these two abilities collide. Lurker: Lurkers provide the zerg with a new siege option, harassment option, and can be used to defend key locations. Additionally, they can be used as part of a zerg player’s core army causing splash damage to large numbers of smaller units. Blizzard Entertainment is adding one new protoss unit: The Disruptor. However, the developers are making changes to old Protoss units as well. The Immortal is losing the hardened-shield passive, but getting an active ability that absorbs damage for a short duration. This opens up new opportunities to micro Immortals to attack with shields up, and retreat when the shield is down. The Warp Prism can now pick up units from a distance and drop them on high or low ground to safety. Good for rescuing low-health units during engagements. This new ability is open for micro harassment on enemy bases. Oracle is getting a change combining revelation with envision. Cloaked units hit by it are revealed. The Oracle is also getting a new ability named Statis Ward. It is a trap that is triggered by nearby enemies freezing an area in stasis making enemies caught for a long period of time making them unable to move, attack nor cast abilities. However, in stasis they can't take damage either. Good to place near your base or outside the enemy base to neutralize large groups of zerglings, hydras, zealots or marines. The Tempest is getting movement speed buff, and can now only attack ground units. The Tempest is also getting a new ability known as desintegration. When the player targets a single unit, it gets a visual debuff that causes high damage over a period of time. That enemy unit will eventually be destroyed. The Carriers can now deploy Interceptors to fight at a specific target area allowing to deal damage in multiple queued locations. Disruptor: From the Robotics Facility comes the Disruptor. The Disruptor can enter an invulnerable energy form for a short period of time before engaging enemies to approach and devastate. The Disruptors introduce a new splash damage option to the protoss. Unlike the Colossus, the Disruptor’s effectiveness depends on the movement skill of the player. It’s possible to get a larger number of kills with the Disruptor depending on how well you position it. Blizzard Entertainment shared a lot of gameplay screenshots of StarCraft II: Legacy of the Void. Some of the places players will visit in Legacy of the Void is Korhal. We can see how the Protoss campaign bridge looks like, and there seems to be a War Council section too.